Boruto's Jogan instinctively came on and enabled him to sense the "chakra shadows" of whenever Nue leeched unto and possessed someone. If Sarada had awakened her Sharingan earlier, would she have been able to see the chakra from Nue's possession? Or was it ever stated if only Boruto's Jogan could sense Nue? There is a possibility that Sarada's Sharingan could have enabled her to see Nues "possession chakra". I've not yet read the manga but from what I understand, Nue possesses people by enhancing their negative emotions and leeching of their Chakra. can perceive the flow of chakra, enabling Boruto to see the visible changes in one's chakra, and likewise, track a target through their chakra. 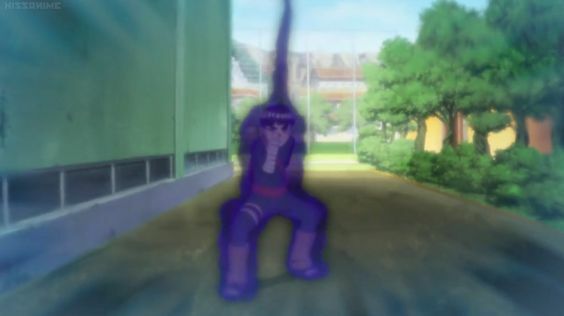 The Jogan can clearly see the chakra pathway system and determine its weakest point. It can also see through invisible barriers that connect between dimensions. can see chakra, giving it colour in order to distinguish it by its composition and source. It can see chakra through some (but not all) obstructions and detect irregularities in a person's chakra flow. Although, if you ask me, Boruto's Jogan seems to be more similar to Byakugan than to Sharingan, especially with regards to its ability to also see the chakra's pathway system and key points.